CARA MORNINGSTAR/Sun-Gazette Rev. 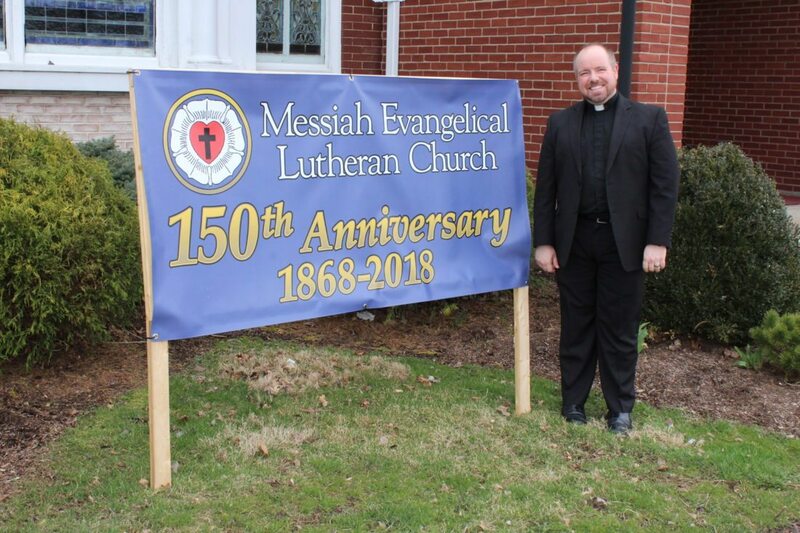 Joshua L. Reinsburrow stands next to a sign celebrating 150 years at Messiah Evangelical Lutheran Church, 324 S. Howard St., South Williamsport. Celebrating 150 years of serving the community, Messiah Evangelical Lutheran Church, 324 S. Howard St., South Williamsport, will be holding a special 150 anniversary celebration and dinner on April 28 at the church. Festive Eucharist will start at 2 p.m. with hors d’oeuvres at 4:15 p.m. and dinner starting at 5 p.m. It is open to the public, but tickets to the dinner can be purchased by contacting the church office at 570-326-9171. Reservations should be made by April 20. Clergy are invited to vest and process, and the color of the day will be red. The church has been getting ready to celebrate since the begining of the year. “We’ve been doing things throughout the year, but this is our biggie,” said Carol Waltz, planning committee member and church organist. She said they have had special recognitions for people who have been baptized, married or confirmed at the church in their lifetimes to mark milestones in people’s lives while also acknowledging the history of the church. The celebration is special for the church. “It’s like a once-in-a-lifetime opportunity, and kids … it’ll be something they should remember forever,” Waltz said. The church is hoping to have the community come out to celebrate with the congregation. The event will be a reflection of the church’s impact in the area. It will also have a video of historical photographs playing, which will start at 5:45 p.m. The video was put together by Rev. A Bruce Amme. 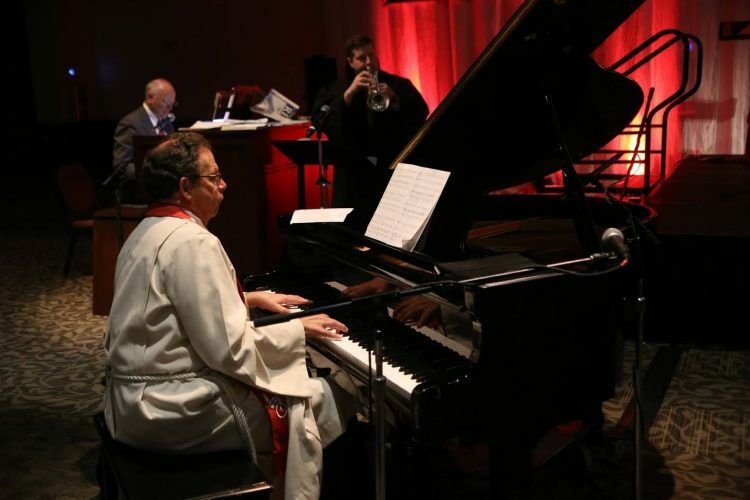 The event also will have The Rev. Stephen Bouman, of the Evangelical Lutheran Church in America and former bishop of the Synod of Metropolitan New York. Bishop Barbara Collins, Upper Susquehanna Synod, also will be taking part in the festivities. Reinsburrow said the church was founded as a congregation on January, 12, 1868, with an initial membership of 10 people. However, they have expanded throughout the years and even added an additional chapel, known as the “Little Chapel of the Good Shepherd,” in 1942. He said the church has been called by God in Christ and empowered by the Holy Spirit to bear witness to God’s creative, redeeming and sanctifying activity in the world. 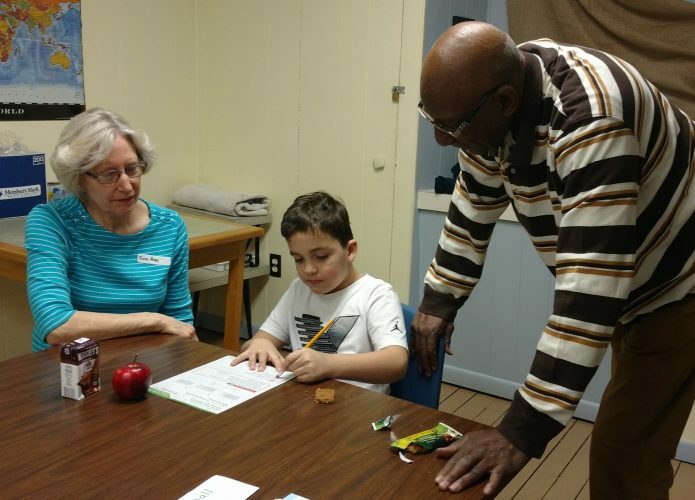 Being able to offer the community services for 150 years, he said that it has been a blessing to be part of the church.